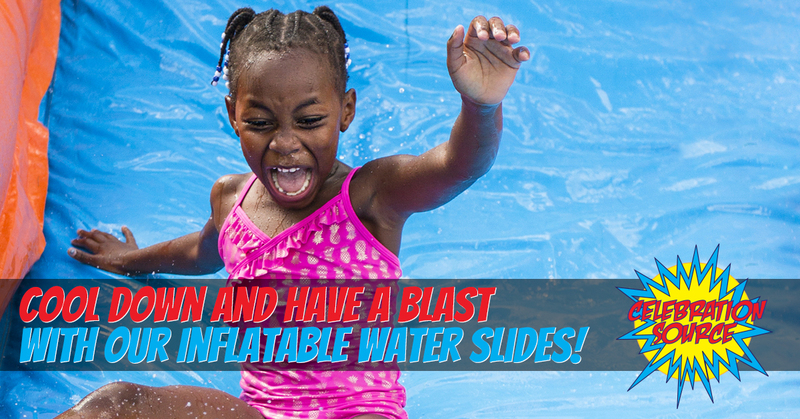 Cool Down and Have a Blast with Our Inflatable Water Slides! Here in Florida, we’re lucky to never have any real “cold” months, but there is no doubting that summer is HOT. While it’s always refreshing to sit and soak at the beach or pool in order to escape the heat, sometimes it can get a little boring. This is especially true for the kiddos as they wait for you to finish the chapter of your book before you’ll join them in splashing around. As your event entertainment experts, we’re here to take summer fun to the next level by providing you with our party entertainments in Delray Beach! The pool will always be there waiting, but when was the last time you plunged down a steep water slide or raced through a wet obstacle course? Whether you’re throwing a special cool-down party for the neighborhood, a corporate event, or looking to throw the best birthday party ever for your child, call us today and we’ll bring the celebration to you! 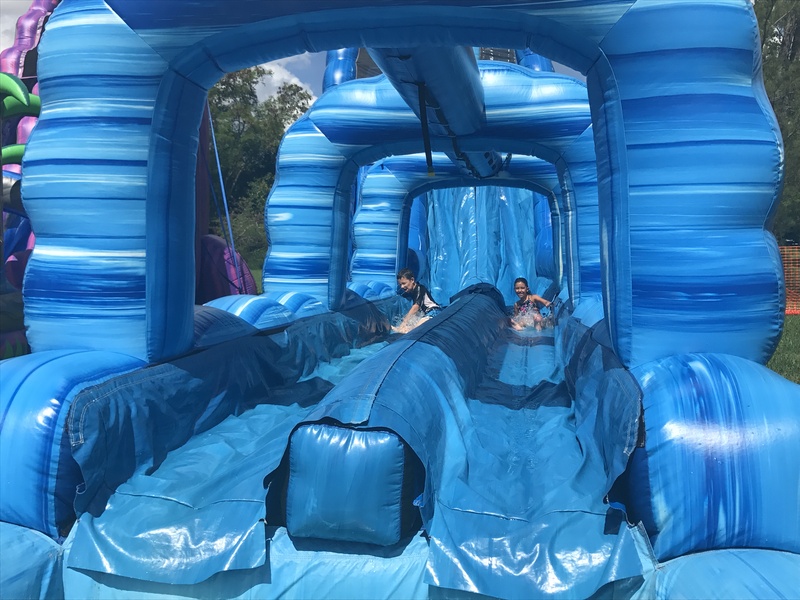 Here are just a few of the options that you have when you rent inflatable slides, games, and obstacle courses from Celebration Source. Available for children aged 7- adult (let’s face it, some of us never grow up in regards to waterslides), the Blue Crush sends you down a screaming descent and you’ll slide all the way into the pool at the end. Just try not to smile on this inflatable slide, we dare you! For the younger ones, the Wild Wave puts the children right in the rip curl for a thrilling experience. Ideal for kids aged 3-9, we guarantee that the young ones will want to ride it again and again! Why dust off the ripped and tattered slip-n-slide in your garage that, be honest, burns the skin after two uses? Instead, rent our Rainbow Slip and Slide! It’s 25 feet of pure fun and we’ll keep it nice and soaked to ensure you, and everyone else, don’t get those rubber burns. The thrills don’t stop at inflatable water slides! We have countless inflatables for your event to keep your guests laughing and cool the whole day through! Make your through palm trees and over cliffs with our Amazon Obstacle course. Or find you your way through our Water Tag Maze! Have a large group that’s looking for fun, start a fun and playful war with our Water Balloon Battle! No matter what you’re looking for, we guarantee our inflatable water slides, obstacles, and other party entertainments will make this the best summer ever! At Celebration Source, we’re proud to be your entertainment specialists and have countless party games, rides, and performers for you to rent that are sure to bring smiles on the faces of everyone who’s lucky enough to attend your celebration. Look through all that we offer, decide on what your event needs, and be sure to contact us for a free quote. We look forward to being your source of entertainment!